The scent of liquid potpourri can freshen the air of any room. Making your own is much less expensive than buying it at a store. And, it doesn't take a whole lot of time, roughly only about half an hour to 45 minutes. Then you'll have your own liquid potpourri, with the amount of scent you choose, that you can store and use later. Pour 1/2 a bottle of baby oil into your cooking pot. Place it on a burner, and turn the stove on medium heat. Pull the petals from the fresh roses and drop them into the baby oil. (Note: You can use roses that you purchased a few days earlier as long the petals are still soft.) 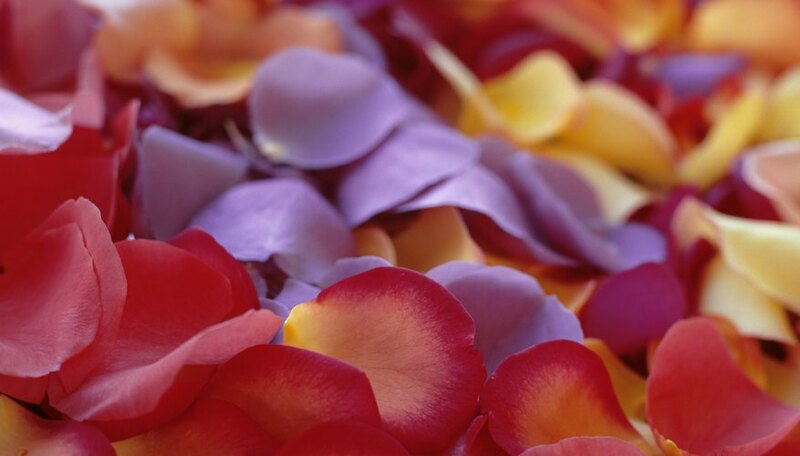 Use all of the petals from the roses for a strong scent, but if you prefer a milder one, use fewer. Turn the burner on high. Allow the mixture to boil for 4-5 minutes, then reduce heat and let the liquid potpourri simmer for about 10-15 minutes. Remove pot from heat, and let it cool for 15 minutes. Remove the rose petals with a slotted spoon. Pour the oil into the bottle or bottles via the funnel, and store it for later use. The potpourri works in any warmer designed for liquid potpourri. You can add food coloring to the boiling mixture if you want colored potpourri. Never pour hot potpourri into a bottle; always let cool first. How Can I Glitter My Filler Flowers?